Is it proper to say "Turn right right here"? Do we use the present or the past after "when" in a conditional sentence? What is the correct word for 'worrylessly'? This looks a bit suspicious to me, is it possible that someone is creating these new accounts to give EL&U some much needed sap? I know for a fact that some very high-rep users/mods do create sockpuppets to test things out, is the above an example of that? See: I am a sockpuppet, may I exist if I have a real purpose? Why don't the newcomers know about ELL? My second concern is why are all these new users coming to EL&U in the first place? Why aren't they posting their off-topic and low-quality questions on ELL? I'm not suggesting the questions posted on 10 Jan should be migrated, but I'm confused as to why these users seemingly have no awareness that ELL exists. Why not just ignore the low-quality posts? While this seems the easier, friendlier and more civil approach, this will create a gateway effect. Once a user has their off-topic question answered, and this includes answers that are either posted as comments or edited and embedded in the OP, you are reinforcing that behaviour. Think of Pavlov's experiments, and learned behavior. It's the same thing, after all why do users keep posting answers? Because they receive 10 points, and don't tell me its not gratifying. It's exactly the same mechanism. Likewise, a user who regularly receives an answer to his/her off-topic question will learn to repeat that behaviour. If LQQs are allowed to proliferate, the more experienced linguists and ‘experts’ will not stick around. Compared to two years ago, the old vanguard is nearly halved. Wonderful contributors such as, Robusto, Barrie England, medica, RegDwight, NoHat, JSBձոգչ and oerkelens are simply not posting any more. I don't want ELU to become the next Yahoo! Answers. But it will do, if we don't demand a "minimum" standard from everyone. I remember buying English and other language grammar books, novels and audio tapes at the turn of each year with a new year's resolution to study harder. The recent spike could be related with new year resolutions of new learners. There is virtually nothing we can do to prevent new users from posting those questions as I mentioned in a previous answer. This answer is more focused on how to deal with the Low-Quality Questions (LQQ) down the road. High-rep users should be more active in closing (blatantly) LQQ. I have noticed that closing these posts is not as active as a few months ago. The factors could be various, i.e. decreased involvement of a few moderators and high-rep users, more lenient views or opinions towards LQQ, but as Mazura mentioned in his answer, the solution could be to deal with LQQ with a bigger hammer. This question requesting for on-line resources is not closed yet. We need high-rep users to visit the review more frequently in order to close LQQ more actively. As I commented above, migrating all (or most) of LQQs onto ELL is not such a bad idea. Of course, it could be seen as dumping cr** on ELL, but at least we can let new users know that ELL exists on Stack Exchange. They are all beginners or intermediaries in English. If they have another question in the future, they'll know where to post a question if they are properly guided to ELL. It is not a matter of dumping LQQs, but a matter of good guidance to new potential users for ELL. We don't want them to post another LQQ on EL&U. Then, we have to figure out seriously how to guide them well to ELL. Users have different views when judging which question is LQQ and which is not. Some users choose to answer because they think it would be helpful to learners. I can't agree with them more. However, it might leave the false impression that LQQs are welcomed and tolerated on EL&U. Posts of mine have been downvoted in the past for answering a LQQ or a duplicate. But I don't think downvoting the answers to a LQQ is an ideal solution. We need to reach a consensus on this issue. The best solution would be to close a LQQ before any answer is submitted, but that won't be possible unless a few more moderators with a solo-closing power are more actively involved than at present. We need to guide new users who not only ask LQQ, but also answer LQQ or duplicates with poor-quality answers. As Mitch commented, a 1-rep user posted an answer to a question before it was closed. The answer is wrong and still it received one upvote. There are many instances where 1-rep or 101-rep users posted blatantly wrong answers or poor-quality answers that don't follow the rules and guidelines of this community. We need to pay more attention to those users, too, so that they may settle down well in either EL&U or ELL. Conclusion: We need to be more proactive than reactive in dealing with LQQs and new users. TL:DR - The SE system breaks down when there is a lack of comradery throughout the community. Our proactive options are: change the system or try to change people. Systems are a lot easier to program... but that's not to say that the community can't improve as well. Note: 1 reps are not part of the community and even though they may be the cause, they're not at fault; the system and the community share that blame. Allow me to be constructively frank: this is a (well deserved) rant; you came here at the site's golden era, and became a golden child yourself. Now you look around to see but a scarred battlefield, of which you are now in command. It's time to close ranks. We always say that upper echelon is a bad thing, but that* is precisely what differentiates SE from Yahoo. SF&F users on the other hand, use chat all the time for: hey yo, help me close this crap. Which is your #1 problem with the situation: LQQs not getting closed fast enough. The last suggestion would let the 35k OP and one other +3k'er close stuff. Your worried that this is too elitist? Well, like I said, that's what keeps SE working (and also exactly what you're complaining about; the loss of our elites). Can this be abused anymore than by someone who already has a close hammer? No. It would just involve collusion, and SE is well prepared to handle that. ELU doesn't need any more "sap", anyone who thinks it does and adds to it for this reason alone is a troll, but I don't think those are trolls' questions; they're simply vampires'. Is the SE system not keeping up with its end of the bargain or are both new and old users failing the system?... Umm, yes? The name of the site is not the (real) problem and it will not be changed. New users are never the problem if the old users are doing their part. If for whatever reason, established users aren't keeping up with the trash, then the system is broken and needs adjustment (both types of users are neither here nor there). Continuing to blame users is a straw man with no solution. If we as a community can no longer deal with what's thrown at us, then the system has failed us. What is the problem exactly (that data can give credit to) and what is your proposed solution (that will change how the system works, regardless of who is using it)? These are the questions we'd have to ask to know where the system broke down and how to fix it. Without a drastic re-write of the whole shebang we'll never fix the "1 rep problem", but we can change how we deal with it without too much fuss, I hope. Spot ELL on the home page of Stack Exchange sites. On the other hand, it's hard to miss EL&U, and its size suggests that the site is successful. Could this home page be partly responsible for users simply not knowing that ELL exits? Related: Should we have a migration path to ELL? We have that migration path now, but what use is it, if the questions are obviously off-topic to begin with? I've done my best to help newcomers, and where possible I have interpreted their questions, and added traces of research to at least give them a semblance of being on-topic, but... it's a losing battle. There comes a time when you have to say, sort it out yourselves. Learners' questions should be migrated; but a poor question is a poor question. Try and edit it into shape first. I went over 3K a few days ago, and started on the close-vote queue. I am allowed to vote on only 20 posts per day. I can understand why there is a daily limit, but 20 per day is low. As with everything, there is a learning curve, and I understand why a new reviewer might be limited to voting on 20 posts per day, but this limit could be raised for more experienced voters. Of course, once the thrill wears off, even 20 per day might seem too much. How long do VLQ questions remain open, on average, after they are first flagged? 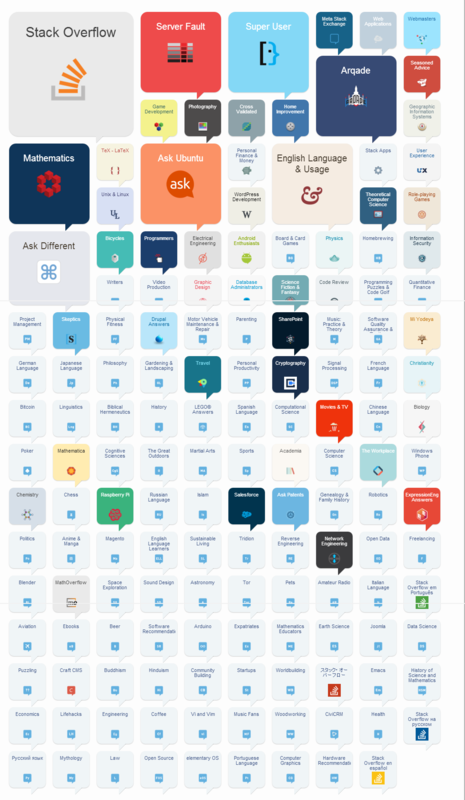 I think the explanation is much more simple: Stack Exchange awards points and badges for asking lots of questions. Regarding why so many lately: random events inevitably occur in groups, precisely because they are random. Not the answer you're looking for? Browse other questions tagged discussion ell low-quality-posts new-users .